If you are keen on learning about your family tree, a simple Google search of your last name will give you hundreds of places to start. Many people are now turning to genealogists in search of their ancestral history, asking the experts to help them discover the names of their great-grandfathers in meticulous searches of old archives in Turkey and abroad. After extensive research, these history-seekers sometimes wind up as millionaires and sometimes wind up disappointed. 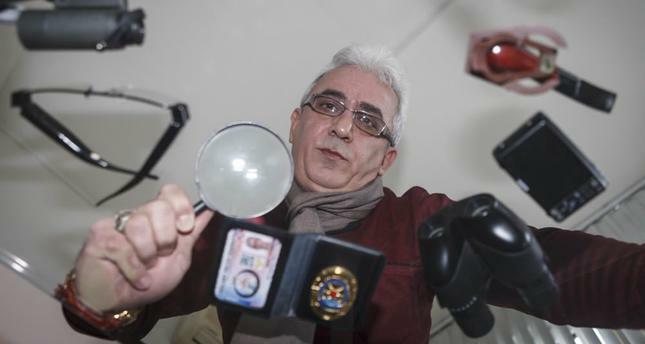 To learn more about the rising trend and the increasing interest in genealogy, we discussed it with İsmail Yetimoğlu, the chairman of the Private Detectives' Association and the founder of Maviay Investigations. Daily Sabah: What is the interest in investigating family trees? İsmail Yetimoğlu: People from nearly every part of society are interested in finding out about their family trees. Most people first try to discover information about their pasts by doing the legwork themselves. But even if they already have bits and pieces of information passed down by their relatives, the puzzle gets harder to piece together after three generations. So, family members seek out professional help from genealogists in order to find more detailed information on what they want to know. DS: Has this increasing demand given birth to a new type of private investigator, that is, family tree investigators? İY: Definitely. People submit applications with us in the form of documents, sometimes even title deeds that have been passed down to them by their ancestors like heirlooms but do not seem important. After the Turkish alphabet was officially changed, these documents became illegible and were regarded as unnecessary pieces of paper. When a family member wants to decipher these documents, he or she must refer to professional genealogists. DS: What do you require from people who apply for your services? First, we listen to their stories and make a pre-assessment. We explain to the applicant which methods we will use to search for the applicant's family tree and request any additional information. 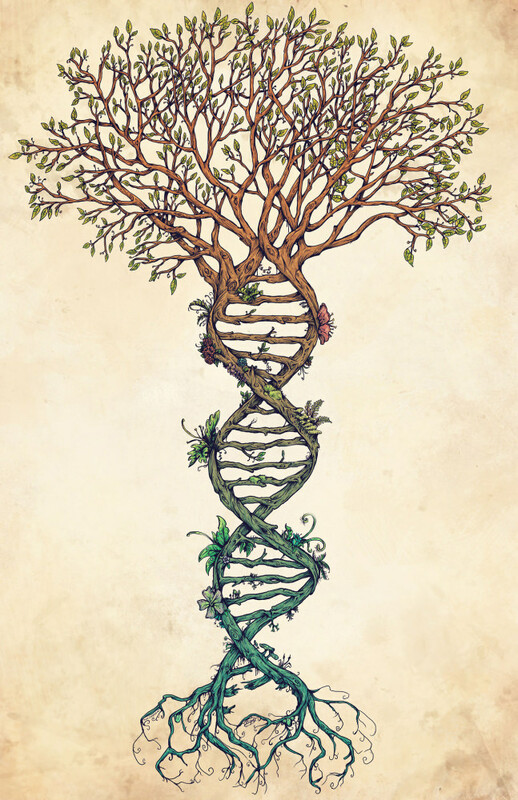 Based on the results of the pre-analysis, we provide applicants with information about the second stage of our investigation, a stage that is not guaranteed in some cases where it is impossible to track down the details of their family tree. DS: What kind of research and work does the second stage entail? We first run a pre-assessment of the third-generation family tree to see if we can find information dating back before the 1900s - the first time that a census was conducted in the Ottoman Empire. The information of those who were included in the official records are all preserved by the Citizenship General Directorate of the Internal Affairs Ministry. Furthermore, there are records in the Quick Census Books of the Citizenship General Directorate that date back before the first census. We also have to verify the information dated before the 1900s by examining the quick census books. DS: What kind of team conducts the family tree investigations? We have a research team of three people. They are experts who also know Ottoman Turkish and Arabic. They usually research the state archives in Ankara or in Kağıthane in Istanbul for family tree information. Sometimes, we also refer to local archives for information. Our team travels when necessary to provinces such as Bursa, Diyarbakır, Antalya, Tokat and İzmir. DS: What kind of difficulties do you encounter during the research process? A general setback is, for example, when a person's grandfather should be registered in a specific city but, when you go to the city to search the local archives, you discover that all the records have been destroyed. Sometimes fires have taken place in the Civil Registry, the Directorate of Land Registry or other state offices and all records have been destroyed. If the information was not submitted to the center in time, then we can no longer find information regarding the family tree. If the records and papers have not been destroyed and we can locate the family tree, then our attorney steps in to file a claim. DS: What are the general characteristics of your clientele? Mostly people who have heard that their great-grandfathers held offices or where authorities during the Ottoman times knock on our doors. There are more applications if their ancestors were soldiers, judges, officers or pashas during the Ottoman Empire. If such ancestors held an office, then their records can usually be traced. We have not yet received any investigation requests from regular folks in Anatolia. A critical point in the research is that many people were forced to migrate and relocate to other destinations after the 1915 events during the Ottoman era or other local uprisings and civil disturbances. When the Surname Act came into effect, some family trees were lost and our retroactive research sometimes reveals that some client's ancestors are Armenian, Greek or Jewish. DS: Do you have to travel abroad at any point? Of course. Especially due to the recent urban transformation process, there are many requests, especially from contractors or construction companies. Sometimes for large projects, land has to be combined and there may be 200 to 300 landowners involved in the process. The construction companies can reach the majority of the landowners but sometimes even though they can reach the names recorded at the Title Deed Registry Office, they cannot reach the landowner. In that case, they then apply to us. After doing some research, we sometimes find that these people had to migrate from Bulgaria or Greece after the events of the time. The Turkish state gave such families estates but they later returned to their own lands. So, we have to visit their respective countries to reach these people. DS: What are some of the interesting requests you have received? An interesting example would be couples who request an investigation before getting married. The family is curious about the family tree of the person their son or daughter will marry; so, we conduct the research and the family examines the family tree. For example, with one family, the second generation was from Anatolia but they had migrated there from somewhere else. It turns out that they took a new last name after the Surname Act became law. DS: Did anyone actually become rich as a result of a family tree investigation? Yes, there are some people who have become rich. For example, some people actually won TL 12 million ($4.29 million) or TL 5 million. Naturally, their lives were transformed. They acquire great financial prospects and they sometimes make their dreams come true or invest their inheritance. In short, you can seriously win millions when you research your family's past. The family that won TL 12 million said they had previously given up all hope. The inheritance case lasted for three-and-a-half years; it was a critical process. It is not an easy job to follow such important cases while leading a normal life. Sometimes people just give up, and there are those who are disappointed as a result of the process. Sometimes people have to get loans in order to pay for the court and attorney expenses to continue such cases.